Lesson 2: What is a Blockchain? Blockchain is a revolutionary technology that is still in its early stages, but has massive potential (kind of like the Internet in its earliest days). Blockchain really is a chain of blocks. A block is a group of transactions, similar to a bunch of drink orders for a cocktail server. Once the server has enough orders to fill a tray, or in this case a block of transactions, they send in the orders. With blockchain currencies such as Bitcoin, a group of computers verify that the accounts have the money to send. This prevents transaction errors and fraud. Just like the order tablet your server uses to write down all the cocktails for your table, each group of transactions on the blockchain has an identifying number. This number helps users verify that the order of the transactions makes sense. 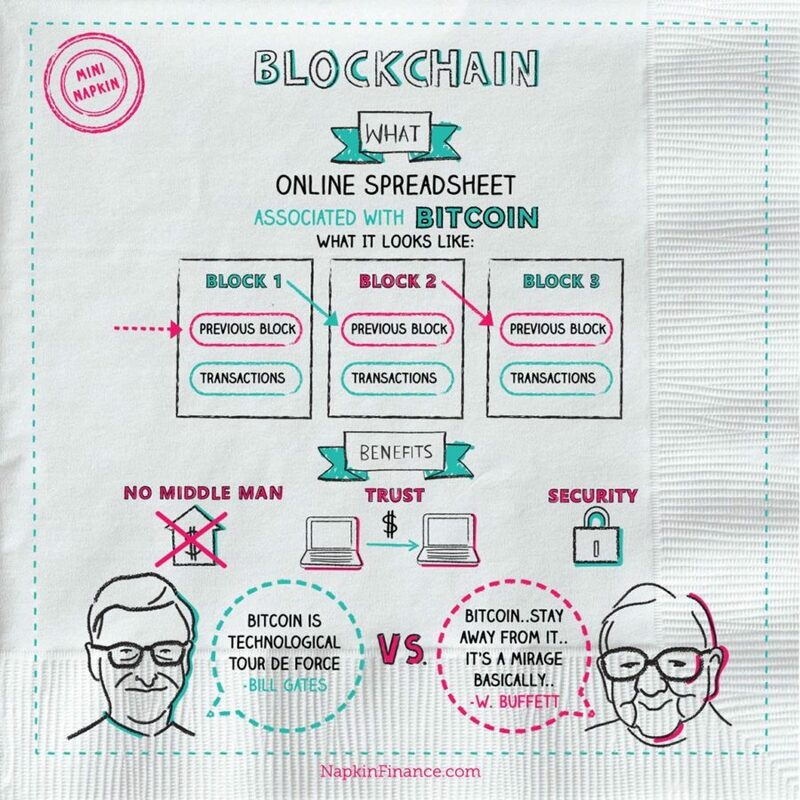 A blockchain is essentially a public spreadsheet showing every single transaction ever made—kind of like if the bar kept a public record of every drink order ever made. Fool’s gold or real gold? Anything in demand with a limited supply will have value. The question for cryptocurrency investors is whether demand will continue to rise or turn out to have been a passing fad. Some cryptocurrencies, such as Bitcoin, are mined. Anyone with a computer can mine these currencies, though the electricity costs are steep. With mined cryptocurrencies, once a block, or group of transactions, goes through, an algorithm is left over for computers to solve and receive a reward in crypto. Every blockchain starts with a small group of computers mining. As a network grows to hundreds and thousands or even millions of computers, the difficulty and cost of mining increases.